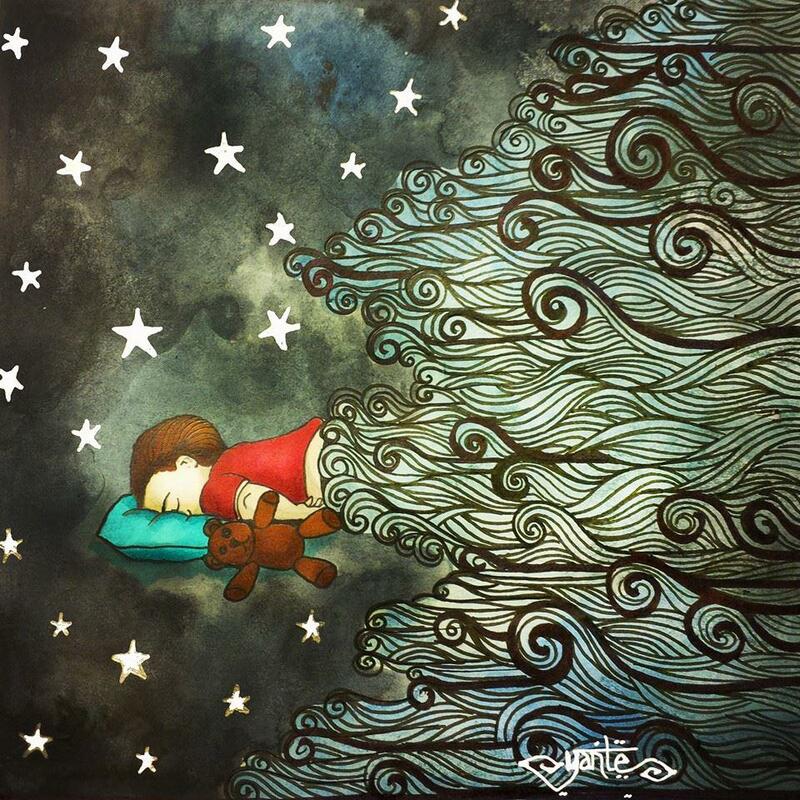 The visual image of the three-year-old Alan Kurdi laying lifeless on the beach in Bodrum, Turkey seemed to have woken the world to take action in the refugee- and migrantcrisis that has been increasing over the summer of 2015. We all know that there are also children on board of the hundreds of boats that are trying to cross the Mediterranean Sea. We have seen several images of young children and infants coming ashore and see them continuing their difficult journey to a safe home. We see children being held above their parents’ heads and given to authority figures next to razor wire fences to get them safely across the border. We see children crying their eyes out, walking with nothing more than a small bag next to train tracks, we read stories about children who have lost their parents or who got separated from them. 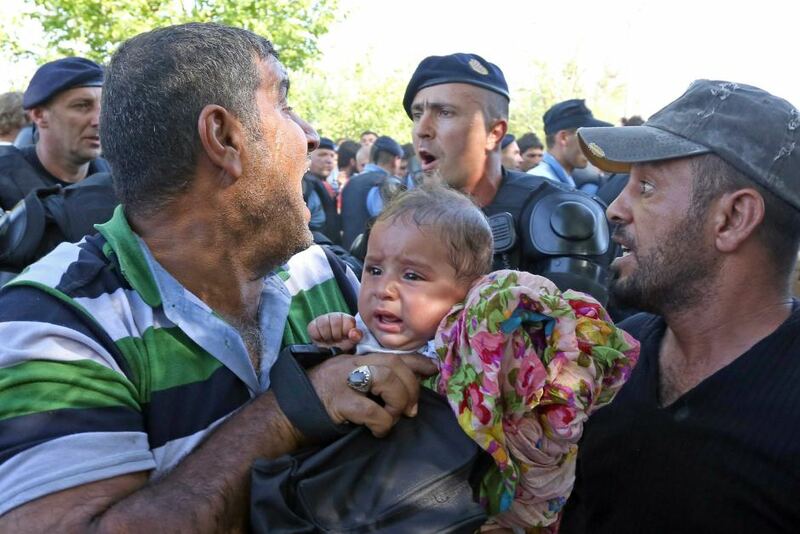 We hear and see the heartbreaking voices of children of all ages crying as they have to walk to safety. 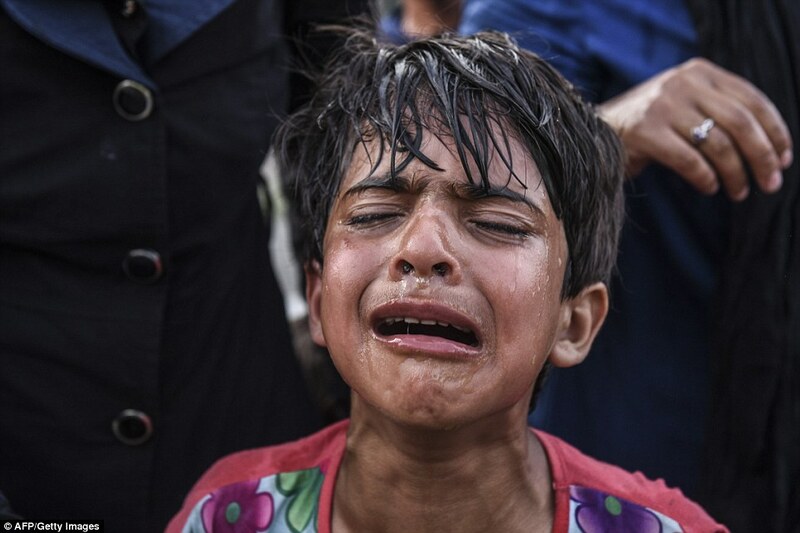 We see children who have had tear gas sprayed in their faces… There is no lack of images and stories to let us imagine the horrifying and traumatizing events refugee-children are going through. We also know that there have been children who died. We have all read and heard that a number of the boats in the Mediterranean Sea have capsized and that hundreds of people, including children, who were on those boats had died. We have also read and heard that there were four children among the 71 refugees that had died of suffocation in an abandoned truck in Austria. However, we were not yet confronted with the devastating visual image of a drowned (young) child. Whose future has been taken away..
My thesisadvisor Professor of Anthropology and Chair of the Cultural Anthropology of Contemporary Indonesia at Leiden University Patricia Spyer and her co-editor Professor of Anthropology at Harvard University Mary Margaret Steedly argue in the introductory chapter of their book “Images that Move” (2013) that images do not only move in the sense that they move around and thus go from one place to another, whereby the image can acquire different meanings, but how they move us. By using three interrelated themes: circulation, affect and publics, they argue how images “take place” in the world and what their role is. Or rather what an image can cause via its affects and effects in the process of the way an image moves (around). They state that by looking at images that move, other aspects may be illuminated for understanding how images become to be moving in both an intransitive and transitive way. Images are said to say more than a thousand words. This may be because the act of looking cannot solely be seen as done with only your eyes. As I have mentioned in my Introduction and Looking at Rotterdam piece on this blog; we learn how to look at images and the experience of looking at them should be understood as something that is done with our whole being. W. J. T. Mitchell has argued in his book “Picture Theory” (1992) that we still do not know what pictures are, what their relation is to language and what their relation is to the spectator and the world. Even though we are living in a time that is often being characterized of ‘spectacle’ (Guy Debord), ‘surveillance’ (Foucault) and all pervasive image-making (Mitchell 1992: 13). 23 Years after the first edition of his book, the way we make and share images has changed. Besides using an old fashioned camera (which are now highly technoligcally advanced), we take pictures on our phones. We are recording, archiving and sharing our lives through photography, maybe more so than 25 years ago. In this day and age we rarely print the images we make and we can easily delete captured moments when we do not like how the photo has turned out. Because of the simplicity in which we are able to share visual images (via Facebook, Instagram, WhatsApp, Tumblr, SnapChat, etc. ), the circulation of visual images can be done in seconds. In turn, this way of circulation can also define the meaning and ascription given to an image by the media through which they are projected and formed. The audience could become worldwide: the spectator is anyone who has a working connection with the Internet and access to your social media feed. The subjects we photograph has somewhat changed as well, but capturing precious moments of (our) children is something that has not changed. Therefore, the image of Alan Kurdi was not ‘just’ a child that had died at sea, but his image became a representation of the thousands of lives of men, women and children who had drowned as they desperately tried to get somewhere safe. 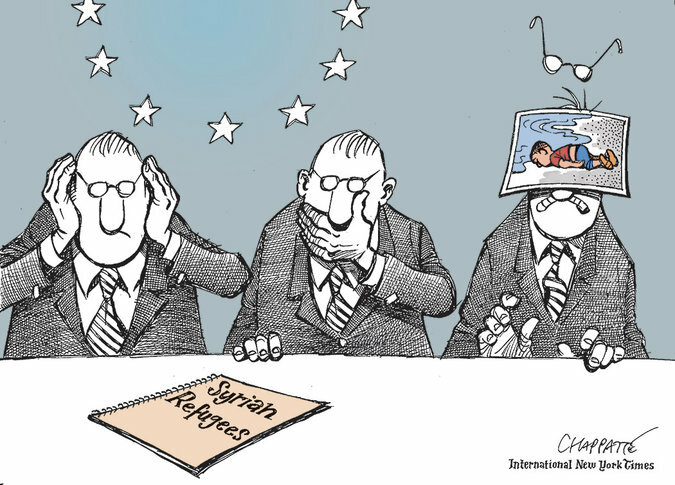 Moreover, the image sparked public and political debate about the way Europe should approach and take international action in the refugee- and migrantcrisis. Several political leaders also spoke about the photograph. Although the politicians gave heartfelt statements and their sympathy, the photo was now ‘used’ to stress political notions. Children are usually seen as vulnerable, as a person who could be your son, daughter, sister, brother, cousin, or other relative. Holland argues throughout her book that the idea of childhood is socially and culturally constructed by images of children in media, but also in the way we photograph children as they grow up. Holland states that “without the image of an unhappy child, our contemporary concept of childhood would be incomplete” (Holland 2006: 143). She also argues that images of children who are unhappy (e.g. because of war, natural disasters, exploitation etc.) reinforce the boundaries between adulthood and childhood, because such images confirm adult power (e.g. vulnerable children who need protection). Images of children in distress may have an extra emotional effect on our being, than that of an adult in the same situation, because it disturbs our idea of childhood. Childhood is thought of as sacred and precious, something that every child deserves. One aspect of adulthood is to ensure that a child grows up safely and without worry. If we see a child in a situation of war, hunger or poverty, we are reminded that the cause of that child not having a ‘proper’ childhood is because adults have used their power in such a way that is has negatively affected the childhood of children in that place. Moreoever, we are reminded that adults who have power (such as worldleaders, authorityfigures, etc.) are not doing enough to ensure giving children a safe childhood. The image of the deceased child represents a life, a childhood, that could have been. It may have helped encourage people to organize fundraising events, both individual as in collective forms, protestmarches and it inspired the public and commercial TV channels (in The Netherlands) to broadcast a special night about refugees in which people could donate money to the Red Cross. The photograph also inspired artists who want to raise awareness about the shrining situation and position in which refugees of all ages find themselves in. Images can be deleted, forgotten, abandoned and disavowed. Images can be reproduced and reimagined. Photographs and other visual images can be used to tell stories, shape and create identity, document historic and everyday events. The photo of the 3-years-old Kurdish boy showed the world what horrific consequences closing borders can entail. 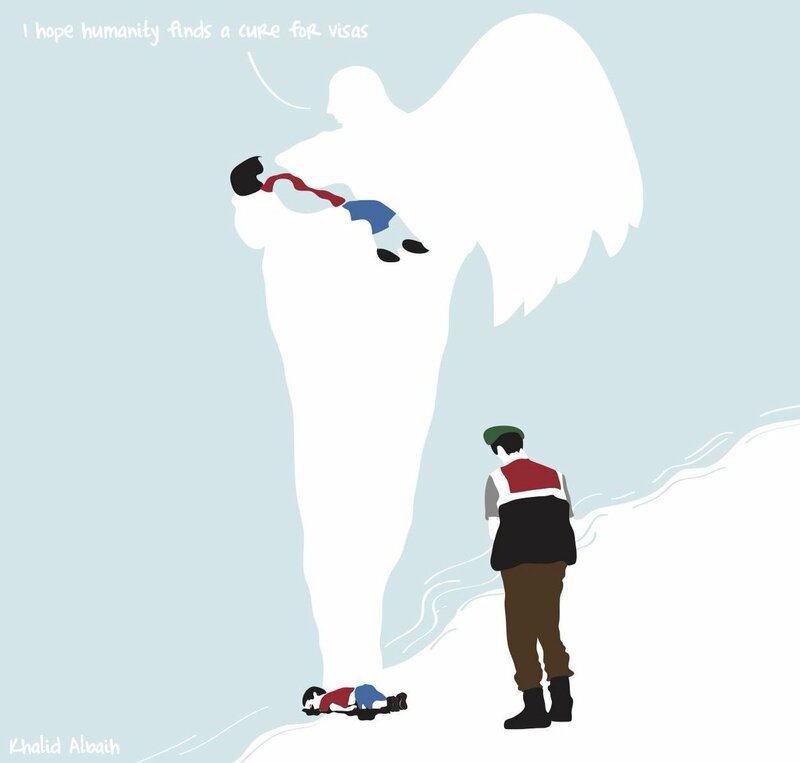 The image of Alan Kurdi’s body might be forgotten, but the impact it had will hopefully continue to stay in the public debate to engage people to show their humanity and solidarity. However, the aftermath of the photo seems already to be forgotten in the political debate. 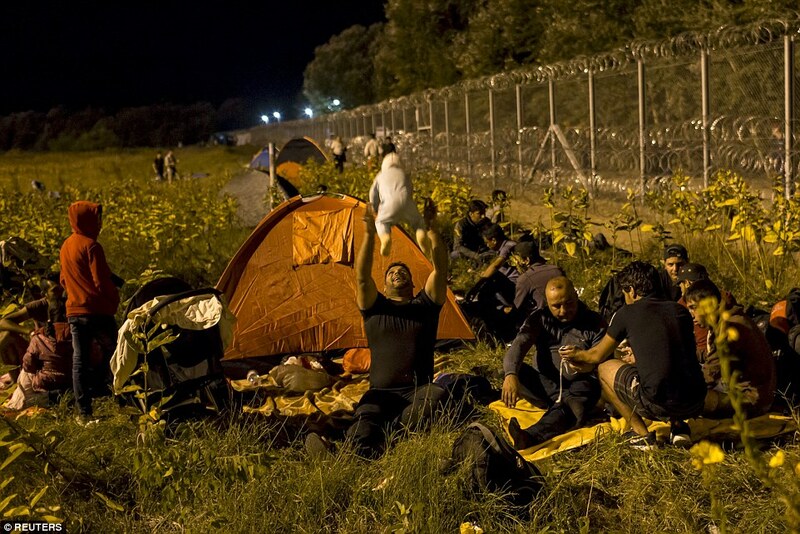 Croatia has decided to close seven of its eight borders. 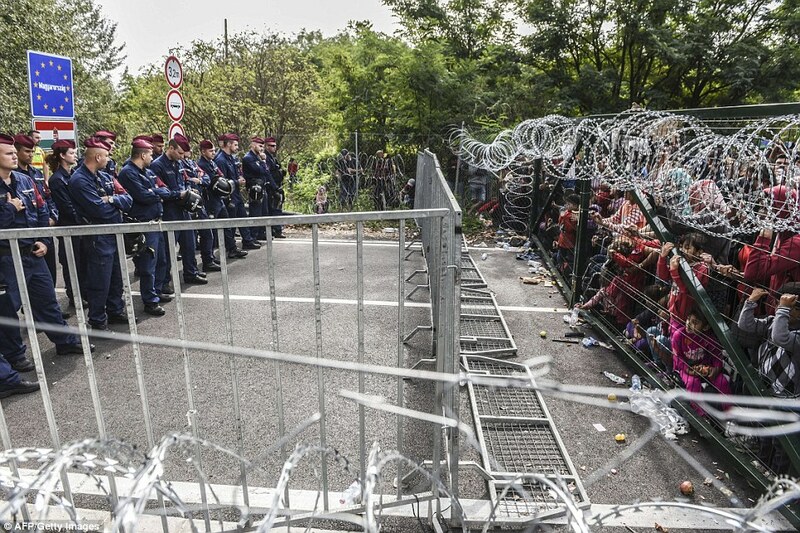 Slovakia and Austria have renewed their control checks at the borders with Serbia and Austria. The country also deployed 200 more policemen gave permission to arrest and detain anyone who comes in the country without legal documentation.